Estrogen is usually only associated with women, but estrogen is present in both women and men – just in different quantities. In women, the ovaries are the main producer of estrogen during the reproductive years. After menopause estrogen is produced by the adrenal glands. For men, testosterone can actually be converted into estrogen. For men and women, the brain, muscles, and body fat also contribute some estrogen. Estrogen plays a role in several body processes, like development, reproduction, bone health, and brain function. Many female health issues are related to their balance of reproductive hormones – aka their levels of estrogen, progesterone, and testosterone. Your body may be producing excess estrogen or it may not be efficiently metabolizing and getting rid of estrogen to keep levels normal relative to your other hormones. More on that later. You may also be exposed to too many estrogen-like substances in the environment that throw off your natural hormonal balance – more on that later. Estrogen levels naturally shift all month long during the phases of a woman’s menstrual cycle. However, when estrogen levels stay consistently high, especially in relation to progesterone levels, it can wreak havoc on your health. 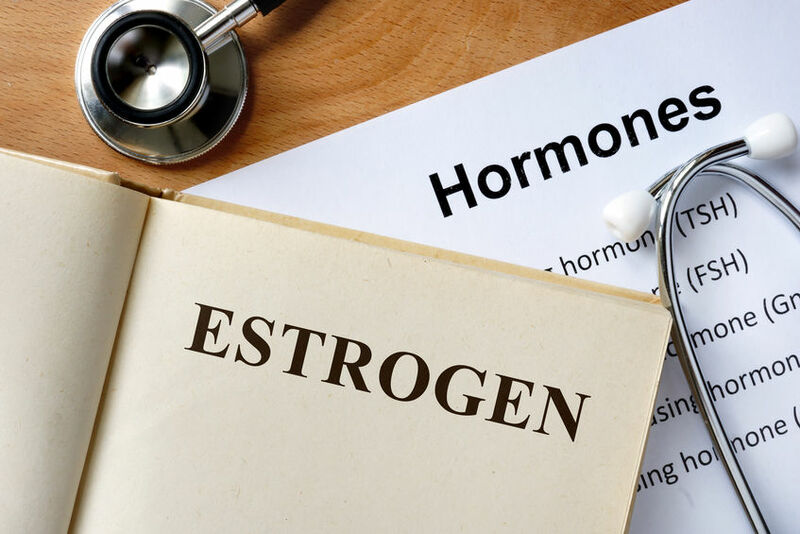 Estrogen dominance is also linked to increased risk of developing thyroid dysfunction, autoimmune disorders, blood clots, and breast, uterine, and ovarian cancers. In it’s relation to symptoms, estrogen dominance can be tested for. The urinary Dutch Test from Precision Analytical is a leading test for a comprehensive view of hormone balance (my office can conduct these tests). Blood tests are also available, however, there is no set level of estrogen that indicates estrogen dominance. It’s more about the ratio of estrogen to your other reproductive hormones. And, of course, individuality plays a role here. For one person, an excess of estrogen may make PMS more uncomfortable. For another, high estrogen may present as a more serious health or reproductive issue. Several lifestyle and environmental factors can contribute to high estrogen levels in the body. Eating a diet is high in processed foods high in sugar, refined grains, and unhealthy fats can throw estrogen off balance. Excess sugar from sweets and refined grains cause blood sugar and insulin spikes, which in turn promote weight gain and can interfere with your estrogen levels. Excess fat, specifically abdominal fat, contributes to estrogen levels. Also a lack fiber, omega-3 fats, and vitamins, minerals, and antioxidants from whole fruits and vegetables can throw hormones off balance. Too much estrogen in the body can contribute to weight gain, since estrogen promotes fat storage. And, in a vicious cycle, excess body fat promotes the synthesis and storage of even more estrogen. Decreasing excess body fat and maintaining a healthy weight helps promote healthy hormone levels and decrease estrogen levels in the body. The liver is responsible for metabolizing estrogen into compounds that can then be excreted by the intestines. The liver’s ability to effectively metabolize estrogen can be impaired if the liver is constantly working to decrease your body’s toxic load. Things like alcohol, medications, and environmental toxins all contribute to your body’s toxic load and liver function. Supplementing with milk thistle and herbal tea, such as dandelion root, may help support liver function. Metabolized estrogen is excreted from the body by the intestines. If gut health is impaired or you suffer from chronic constipation, your estrogen levels can be affected. 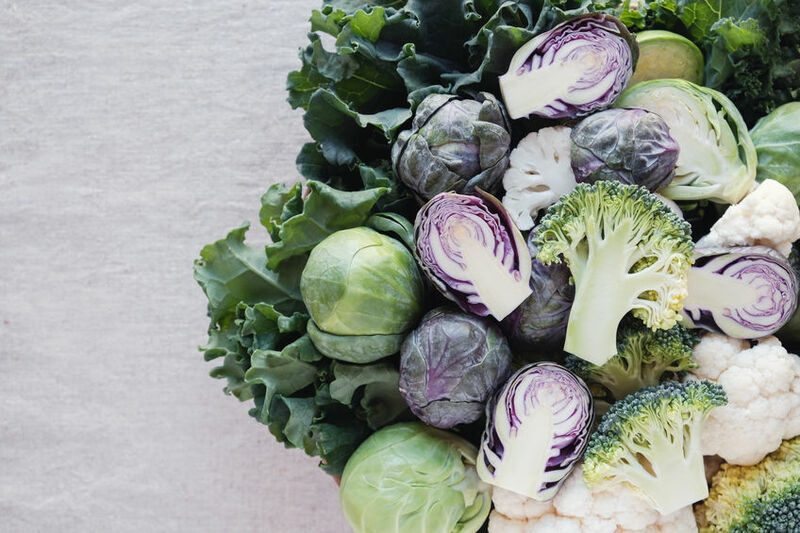 Probiotics, fermented foods, adequate hydration, and plenty of fiber can help promote optimal intestinal function, regular bowel movements, and elimination of estrogen from the body. Hormonal birth control can throw off your body’s natural hormonal balance and contribute to estrogen dominance by supplying your body with more synthetic estrogen. We’re exposed to a lot of synthetic estrogen and estrogen-like substances, known as xenoestrogens, in our environment. Many personal care products and packaging, like store receipts and plastics, contain chemicals, like BPA, parabens, and phathlates, that are xenoestrogens and can mimic estrogen in the body. Switching to more natural personal care products can help reduce your exposure. Your diet is one of the greatest tools you have in influencing your hormonal balance. The foods you eat can impact how much estrogen and progesterone your body produces, as well as support liver and gut function. Keeping your endocrine system, liver, and gut healthy are all important for eliminating excess estrogen from the body. Conventionally farmed meat and dairy products may promote estrogen dominance. These products are often given growth hormones, antibiotics, and fed grains contaminated with pesticides that are known endocrine disruptors, meaning they can mess with your hormone levels. Sugar and refined grains can impact insulin levels which in turn can throw estrogen off balance. Soy products contain plant-based estrogens, called phytoestrogens, that can mimic the effects of estrogen in the body. There’s a lot of confusion whether soy-based foods, like soymilk and tofu, are “good” or “bad” when it comes to hormone health. That’s because research studies have found conflicting results. Increased intakes of soy have been linked to decreased symptoms of menopause and decreased risk of some diseases. However, the phytoestrogens found in soy have also been linked hormonal imbalances, infertility, and estrogen-sensitive cancers. A 2017 study concluded the possible health benefits of soy do not outweigh the possible health risks. Bottom line? If you’re dealing with estrogen dominance, it’s best to steer clear of soy based foods and byproducts. It may seem overwhelming to think about all the factors involved in supporting healthy estrogen levels. Take small steps each day to eat right, exercise, manage stress, and get adequate sleep. These lifestyle factors can support your hormone balance.